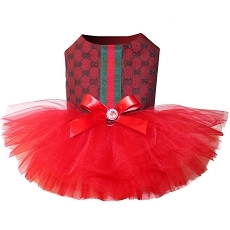 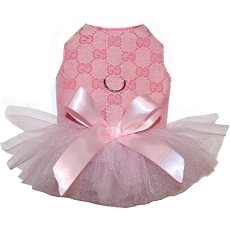 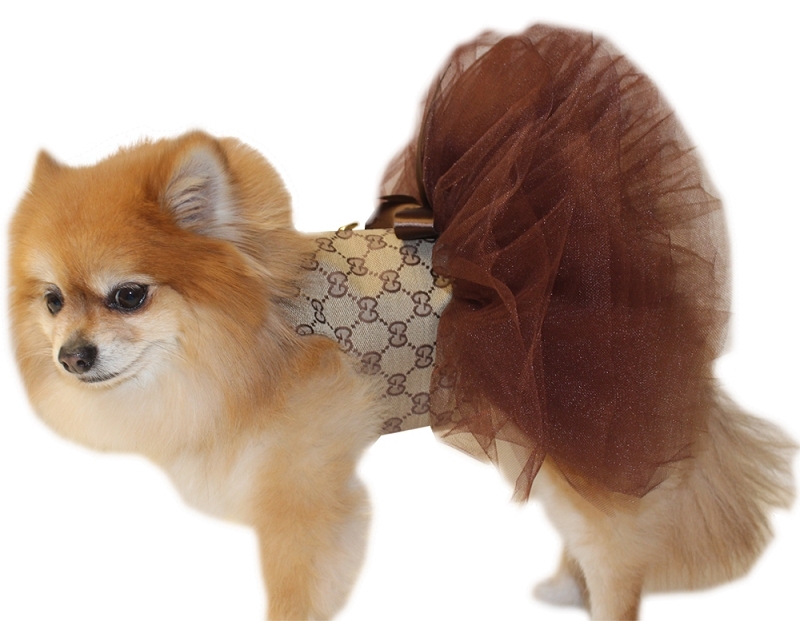 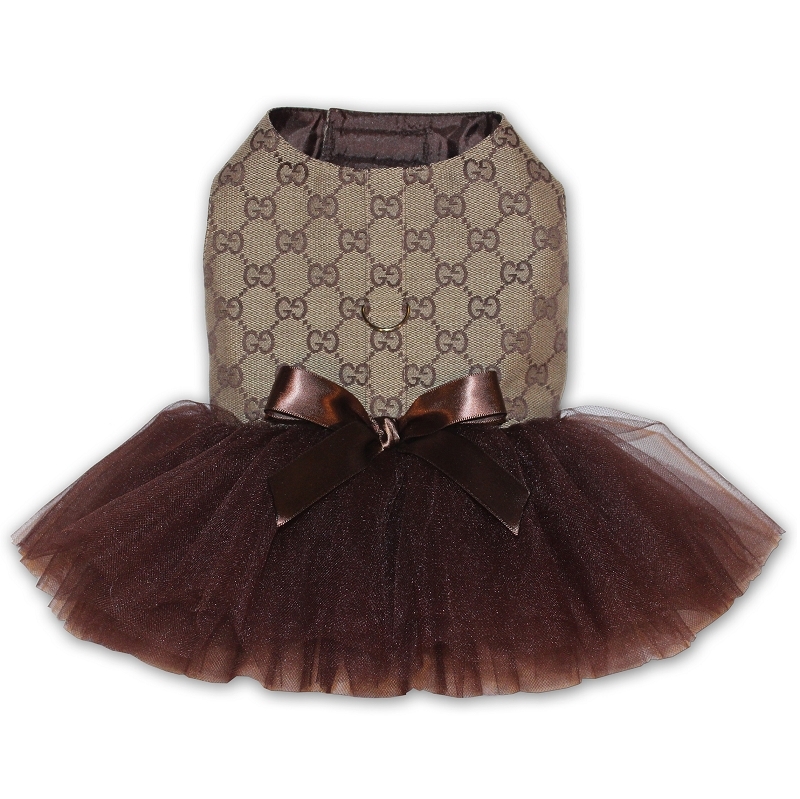 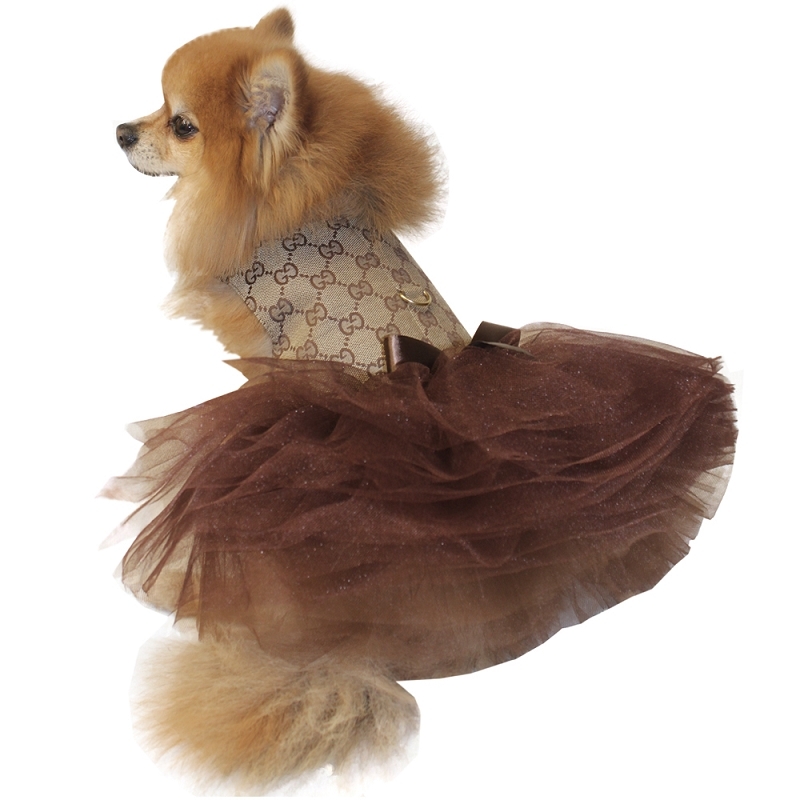 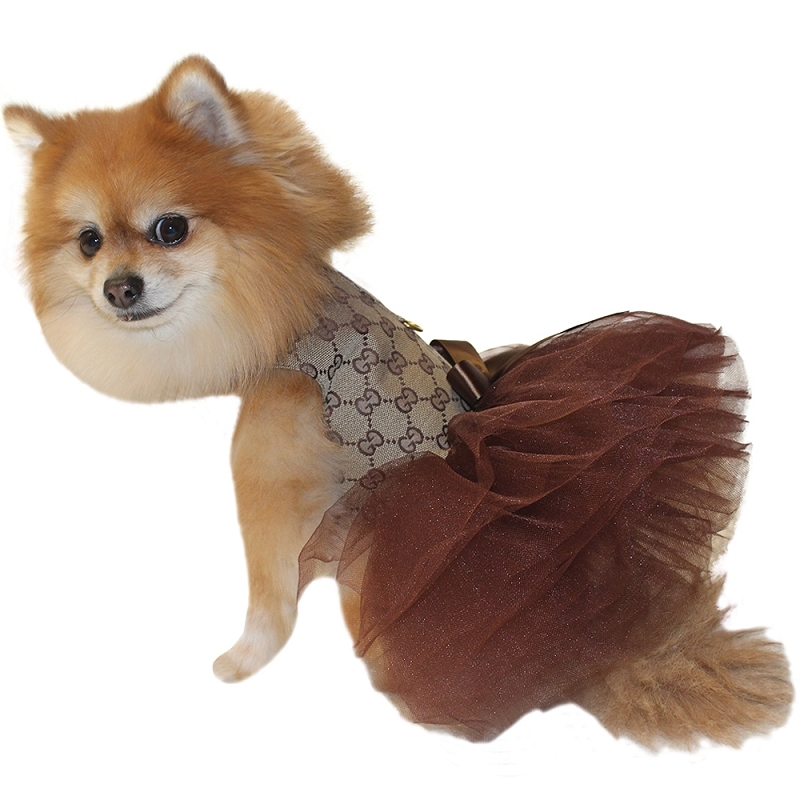 Love is in the air with this classy and elegant designer style tutu dress from Orostani Couture that is guaranteed to make a statement anywhere your dog goes. 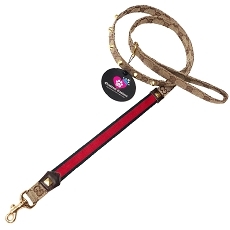 Features a d-ring for easy leash attachment and adjustable velcro at neck and belly. 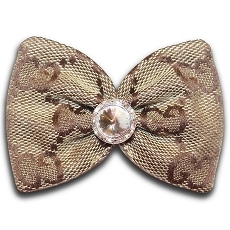 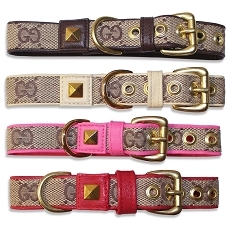 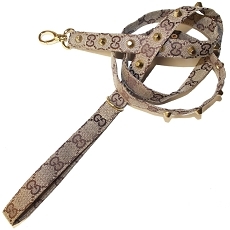 Brown Monogram Studded Dog Leash 54"